This book is the first in a new series that brings together the writings of 10 people working on the forefront of the shift in consciousness with horses. 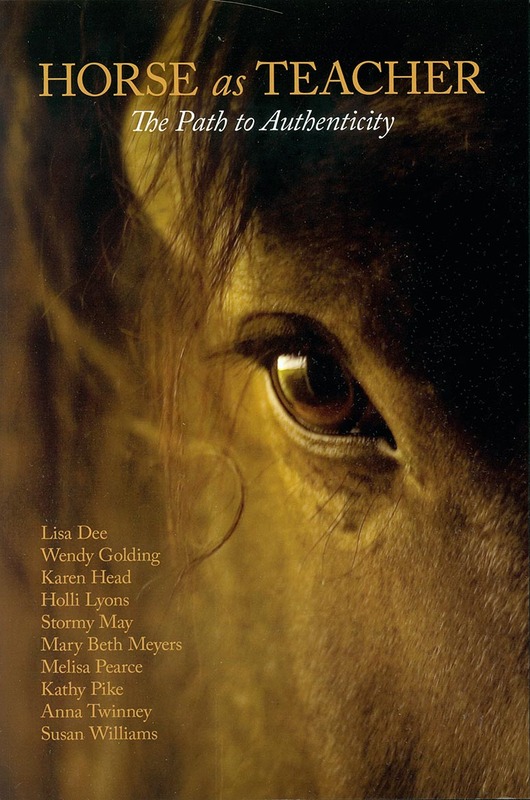 Stormy May's contribution is the story of the horse who set her on the Path and inspired also her DVD Path of the Horse. The stories in this collection will move you to tears, make you laugh, remind you of your first brush with love (in the form of a horse), and more important, connect you with your soul; because that's what horses can do when you are willing to embrace what they so naturally and beautifully reveal to you. The authors come from a variety of horse backgrounds, but they have a common thread - they all see the simple truth that these magnificent animals, through their presence and grace, can raise our consciousness, peel back the layers to uncover our true selves, and show us how to shine with brilliance.